Being an outsider to politics was one of the most attractive aspects of then-candidate Donald Trump’s candidacy. However, being outside of politics deprived the now-President of a good bit of political wisdom that those actively engaged in politics have accumulated over the years, especially as it relates to getting things done in Congress. One of these gems of political wisdom was given to me by an early mentor, the late Ira J. “Joe” Roberts, then Vice President of Northern Indiana Public Service Company. 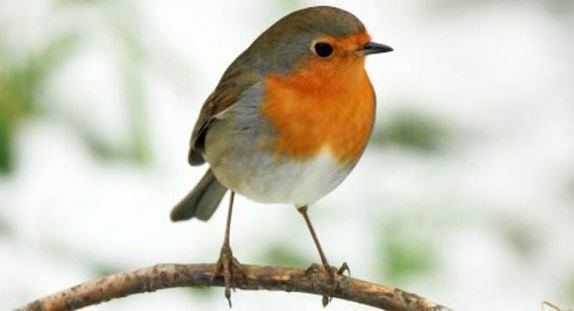 There was a robin who was down south for the winter and, the weather looking good in early March and he being young and strong, he decided to take off for the north so he could be the first robin to get to the wealth of worms said to be waiting to be eaten up north. But as he approached his destination he ran into an unexpected ice storm. His wings iced-up, he plummeted to the earth in a northern barnyard and it looked like he was going to freeze to death until a cow came along and dropped a steaming load of cow dung on him. The dung thawed-out the robin, but he began to squawk loudly at being covered in dung, at which point the barnyard cat hearing his squawking came over to the dung heap, dug the robin out and ate him. The President seems to believe, or at least White House Chief of Staff Reince Priebus has convinced him, that conservatives, especially those principled limited government constitutional conservatives of the Freedom Caucus who opposed the Ryancare bill, have dropped a steaming load of dung on him. However, that analysis misses the two real problems the robin faced in his flight north, and the President faces in getting an Obamacare repeal and replace bill passed. The first problem was the ice storm, which caused the robin to ice-up and drop out of the sky – and that wasn’t caused by conservatives. The impediment to President Trump’s perceived forward progress on repealing and replacing Obamace was the ice storm of public opposition to Paul Ryan’s RINOcare bill. The public opposed the bill by a margin of 87% to 17%, and as many as 100 members of the House Republican Conference took their cue from their voters and opposed the bill because it didn’t do what the President and Republican leaders promised – lower health insurance costs, particularly for those who do not have employer-supplied health insurance. The second problem the robin faced was his squawking. Having been thawed out by the Freedom Caucus and outside conservative groups, such as CHQ, dropping a load of dung on Ryancare, the President is now squawking loudly at being saved. And who is skulking around the barnyard looking to dig him out? Democrats, swamp-dwelling lobbyists, establishment Republicans and other barnyard cats who see in his frustration with the dung-drop that killed Ryancare an opportunity to marginalize House conservatives, separate the President from his populist base AND resurrect their own influence and political fortunes – it’s a twofer for all the individuals and interest groups that opposed the President during the campaign. We urge our conservative readers to contact the White House through this link. Tell the President conservatives, especially the House Freedom Caucus, saved him by helping to kill Ryancare, and it’s time to quit squawking before his enemies dig him out and eat him.